On behalf of the EPCA President and the Committee Members the undersigned extends his salutation. It gives us immense pleasure and honor to invite existing and new clubs for renewal and registration. 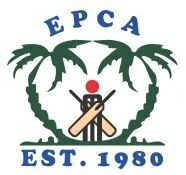 EPCA was established 36 years ago in Dammam for the betterment and to spread awareness’ of cricket in the Kingdom among the public, which by the grace of Almighty, have done successfully and it is still striving to do better. We as an Association have a team of members who are more than dedicated and spend their valuable and precious time. We appreciate your eagerness and welcome your active involvement for the season 2016-17. Our season will commence tentatively on 07th October 2016. We are all set for the Season 2016-17, and EPCA takes pleasure in announcing its Annual General Meeting scheduled to be held on 28 September 2016, at 8 pm in Marhaba Restaurant, Akrabeiyah. We request every clubs to send their suggestion / modification in the existing constitution / rules etc. in writing to the undersigned and a copy to the President on or before 25 Sept. 2016. Attached herewith please find various forms which require your teams and individual player’s information. However, complete your club registration form and umpire registration form only for the time being. Kindly have them duly completed along with fees (details of fees mentioned below) on or before 27 September 2016. Only the teams which have completed the necessary formalities on or before 27 will be entertained (Dues to be settled, forms duly filled, ground authorization, Nomination of umpire are the prerequisite for completing the formalities).